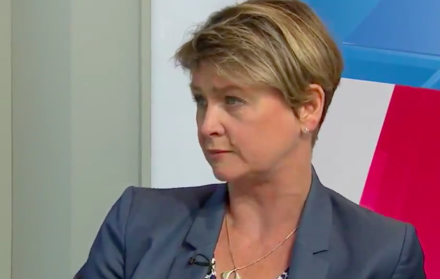 Yvette Cooper will give the keynote speech at the Fabian’s summer conference this Saturday. The conference, entitled Path to Power, will see a range of MPs, journalists and other key political figures come together to debate and discuss the challenges ahead for the left of British politics. LabourList will serve as the media partner for the Fabian Society and we will bring you all the day’s coverage here. Fabian chair Kate Green, the MP for Stretford and Urmston, will give a welcoming address alongside the Fabian’s general secretary, Andrew Harrop. Journalists such as Owen Jones, Abi Wilkinson and former LabourList staff writer Maya Goodfellow will speak at the event. Green’s predecessor in the role, Seema Malhotra, will also speak at the conference. Other MPs due to attend include Wirral South’s Alison McGovern, Lisa Nandy, Mike Gapes, Jim McMahon, Andy Slaughter and former Lib Dem MP for Richmond Sarah Olney. Anas Sarwar, MSP and former Glasgow central MP, who serves as Scottish Labour’s health spokesman, will also be at the event, as will Mary Honeyball, MEP for London. You can still get tickets for this Saturday’s conference here.